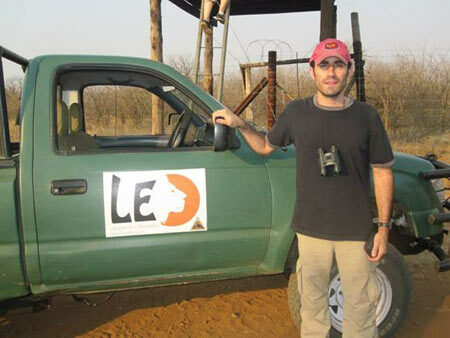 Victor Montoro started as Mongabay reporting intern, along with his twin brother Alexander, in December 2014. He was born and raised in Downingtown, Pennsylvania just outside of Philadelphia. Victor obtained a bachelor’s degree in business and communications from the University of Pittsburgh and a master’s degree from Temple University in broadcast journalism and international news reporting. He has also participated in extensive study abroad programs in Tokyo, Japan and the entire Asia Pacific region. Victor currently works as a news producer and White House correspondent at C-SPAN Television in Washington, DC focusing on public affairs, defense, environmental science and foreign affairs issues. He is very committed to environmental conservation, human rights and free speech efforts. He has served as an eco-volunteer for Limpopo Eco Operations at the Selati Game Reserve in South Africa. In addition, he has taken part in mountain gorilla conservation research and habituation in Bwindi Impenetrable National Park in Uganda, and sea turtle research and marine restoration at Watamu Turtle Watch in Kenya. Victor also is a volunteer for the Anacostia Watershed Society and an annual participant of the Environmental Film Festival in the nation’s capitol. Victor’s personal interests include music, reading, documentaries, swimming and traveling. He is a competitive runner, sports enthusiast, avid mountain climber. Victor is also an animal lover and has a black cat, Lucy, who was rescued from the Washington Humane Society.